Down Syndrome This is a>combination of birth defects including some degree of mental retardation and characteristic facial features. About 30 to 50 percent of babies with Down syndrome also have congenital heart defects, and many have visual and hearing impairment and other health problems. The severity of these problems varies greatly. Down syndrome is one of the most common genetic birth defects. Approximately one in 800 to one in 1,000 babies are born with the disorder. Tay-Sachs Disease, This disease is an inherited birth defect The symptoms first appear at about 6 months, when an apparently normal baby gradually stops smiling, crawling, or turning over, and eventually becomes blind, paralyzed, and unaware of his surroundings. Death occurs by age five. Sickle Cell Disease This is an inherited blood disease which can cause bouts of pain, damage to vital organs, and for some, death in childhood or early adulthood. Congenital Heart Defects. More than 25,000 infants(one out of every 125-150) are born with heart defects each year in the United States. Heart defects are among the most common birth defects, and are the leading cause of birth defect-related deaths. Achondroplasia This is a genetic disorder of bone growth that is evident at birth. It is one of the oldest recorded birth defects. Achondroplasia is caused by an abnormal gene located on one of the chromosome 4 pair. In some cases, a child inherits achondroplasia from a parent who has the condition. In most cases (over 80 percent) achondroplasia is not inherited but results from a new mutation that occurred in the egg or sperm cell that formed the embryo. Thalassemia This disorder consists of a group of inherited diseases of the blood. About 100,000 babies worldwide are born with severe forms of the disease each year. Many children appear healthy at birth, but become ill during the first year or two of life. All forms of thalassemia are transmitted only through heredity. Fragile X Syndrome This is an inherited abnormality of the X chromosome which causes intellectual problems ranging from mild learning disabilities to severe mental retardation. It is the leading known cause of genetically linked mental retardation. Severe speech and language delays are seen in Fragile X individuals, along with unique behavioral, and attentional characteristics. It is believed that these characteristics are the result of sensory integration dysfunction. The brain in affected individuals does not process or organize the flow of sensory impulses correctly. • Toxoplasmosis Toxoplasmosis is a parasitic infection that, when contracted by a pregnant woman, can pose a serious risk to her unborn baby. Up to 90% of infected babies appear normal at birth. Yet, 80 to 90% will develop sight-threatening eye infections months to years after birth. Some will also develop hearing loss, hydrocephalus, mental retardation, learning disabilities or seizures. Toxoplasmosis during pregnancy also can result in miscarriage or stillbirth. • Alcohol Each year approximately 5,000 babies, one in every 750, are born with fetal alcohol syndrome (FAS), a combination of physical and mental birth defects. In addition, almost 50,000 babies are born each year with fetal alcohol effects (FAE), a condition characterized by some, but not all, of the birth defects associated with FAS. Babies with FAS are abnormally small at birth… Their organs, especially the heart, may not form properly. Most babies with FAS also have a small brain and some degree of mental retardation. Many have poor coordination, a short attention span, and exhibit behavioral problems. The effects of FAS last a lifetime. • Smoking Smoking during pregnancy is associated with low birth weight, high rates of SIDS (sudden infant death syndrome), behavior problems, and learning difficulties. • Cocaine It is estimated that more than 100,000 cocaine-exposed babies are born each year in the United States… It can also cause a stroke or death to the unborn baby. Cocaine-exposed babies tend to have smaller heads, which may indicate a smaller brain. Some studies suggest that cocaine-exposed babies are at increased risk of birth defects. Babies exposed to cocaine before birth also may have respiratory and neurological problems, including seizures, during the newborn period. • Rubella This is a mild, infectious disease caused by a virus. The earlier in pregnancy that the mother has rubella, the more serious the birth defects usually are. Some of these babies die before or shortly after birth. More common are the lifetime defects that a baby may be left with. Among these are hearing loss or deafness, eye defects, heart defects, mental retardation, and behavior problems. • STD It is estimated that 12,000,000 people contract STDs each year. If the woman is infected with AIDS the fetus can contract the virus from the mother during pregnancy or delivery. A baby can catch chlamydia during a vaginal birth, causing ear and eye infections, and possible pneumonia. Genital herpes in newborns can cause severe skin infections, nervous system damage, blindness, mental retardation or death. Gonorrhea in a baby can cause serious eye infections and blindness. Syphilis can be passed on to the fetus, causing damage to the heart, blood vessels and nervous system, blindness, and death. Genital warts may be contracted by a baby during birth, causing wart growth inside the voice box and blocking the windpipe. • Low Birthweight Low birthweight affects one in every 15 babies born each year in the United States. It is related to approximately 60% of infant deaths. These babies may face serious health problems, and are at increased risk of long term disabilities. A premature baby may have breathing problems. Up to 75% of babies born before the 30th week suffer from respiratory distress syndrome, a leading cause of death and disability among premature babies. Some low-birthweight babies have salt or water imbalances or low blood sugar which can cause brain damage. Bleeding in the brain, which can be one of the most severe results of low birthweights, happens in 40 to 45% of very low-birthweight infants. The bleeding may result in brain damage or death. Premature babies often have a potentially dangerous heart problem. In the beginning, Satan did not remain in the Truth. She did not remain in keeping Yahweh’s Laws. As a result, she caused the death of Adam, Eve and Abel. She told Eve lies, saying they would not die if they followed the Gods. She deceived Eve into practicing evil like the Gods. Yahweh’s Laws show His Right-eousness and Ruling Authority; and all of His Prophets proclaimed His Laws. Everyone in the world needs to know, now, what is revealed in this article. You need to read the whole article. Once it’s read, you would be wise to let your representatives know this information. If you push it aside because Scriptures are used, you will miss out on the only power that will bring peace to what’s left of the nations. The only reason mankind is on this earth is because the Creator has a Fool-Proof Plan to bring peace to the heavens, as well as the earth. It takes a great deal of studying to understand what I am about to show you; that is, if you tried to understand this on your own. I will make it as simple as possible, but you will need to retain and apply what you are shown. In the study of theology, there is one thing on which all teachers seem to agree. That one thing is that the One called Yahweh is the Creator of all things. There are many Gods, but none of them can claim the power of being able to create from nothing, as does the One Who created the heavens; and none of the Gods deny His claim. One conclusion, which everyone who studies astronomy agrees on, is that the planets we can see and examine have no life; but since there is life on earth, there must have been life on other planets at one time. From that point, theory takes the reins. So, speculative ideas are all we have from the scientific world up to this generation. However, speculation is not at all reliable. In fact, it’s destructively harmful, in that it sets up wrong ideas that lead one’s studies away from the Truth. Theology is also harmful. In many cases, it leads one to trusting in theories that also lead one away from studying factual material. There is a definite way to prove some documents are factual. The Books that make up the bible give evidence that a Being with far greater intelligence than mankind oversaw, and is still overseeing, the Books once called The Book of Yahweh, known as the Holy Bible in this present generation. Yahshua Messiah was very adamant about following every Word written by Yahweh’s Inspired Prophets. 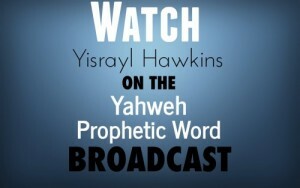 The Prophets, themselves, were persecuted for strictly teaching Yahweh’s Way. They were even willing to die for doing so. There are hundreds of Prophecies written for this generation, most of which have already come to pass or are in progress at this time for all to see. Great wars are prophesied for this generation that will kill a third part of mankind in and around the great River Euphrates in that fourth part of the earth. These are already taking place and will get much worse. These wars will turn nuclear. They are prophesied to blot out the sun in this generation. This Prophecy is shown by both the Prophets and Apostles. Yahshua spoke these words concerning The End also called the Last Days or the Last Generation. The sun will be turned into darkness, and the moon into blood, before the Great and the Wonderful day of Yahweh comes. Please notice that Mattithyah 24:29 and Yahyl 2:31 reveal the use of weapons that can actually blot out or darken the sun. This takes place in the time period Yahshua declares to be the Last Generation when all these things will come to pass. Now think about this. This Prophecy was written around 29 CE. We are in the year 2015. Therefore, 1,985 years later this Prophecy is being fulfilled. If you are honest with yourself, you will admit that yes, in this generation, we do have nuclear weapons capable of blotting out the sun. Please notice, this chapter, written 1,985 years earlier, details the troubles of this generation. No person or God has the ability to give such accurate details, even down to the exact time period. No person or God is capable of foretelling world events six months in advance, not even six minutes in advance, but what we are witnessing today was foretold about 1,985 years in advance. Now think of this: the nuclear bombs have not been around forever. The invention of the nuclear bomb took place in this present generation. Add now to this remarkable Prophecy the capability of anything so powerful as to darken the sun and foretold for this same generation, because you have two undeniable Prophecies here, concerning wars for this time period. One, the means of darkening the sun; two, the exact generation in which mankind would have this capability. Has there ever been anything like this before? No! Yet, Yahshua Messiah foretold it before He was murdered 1,985 years ago. Will nuclear bombs actually blot out the sun? Scientific evidence says so. The following article, an essay from Discover Magazine, February, 1984, deals directly with the consequences of nuclear war. In this generation only has this been possible. When I was born in 1934, and for several years after, people were still using wagons pulled by horses to travel to town and back. In my lifetime, planes, rockets, missiles, drones, bombs, and the nuclear bomb, have all been developed. Wow! Can you imagine foretelling all of that? Wow! Look at the next Prophecy in the same chapter about the sun being darkened. Verses 21-22 correlate with a Prophecy written by the Great Prophet Daniyl for this same generation. He was inspired by Yahweh to show how and when we would advance in travel, from horse-drawn wagons to cars and planes, and in technology with an increase in knowledge. Verse 1 shows the same time period the Savior spoke of as being the greatest time of trouble that will ever be. In that time period, the Last Generation, to allow for the advancement in man’s weapons of war we see in Daniyl 12:4 that knowledge would be increased. Wow! These things have all come to pass in this generation just as Yahshua Messiah said, and exactly as He said. Plus, the scientific tests are talking the same language, saying no survivors—no life at all left. Now for another future event, a Prophesied Work brought about by this same Magnificent Being Whose Name is Yahweh. Notice, this Work is the last thing He inspired the Great Prophet Daniyl to write about. You need to get that part. In the end generation, Daniyl saw two others in a future day teaching. This is important because Daniyl shows that one of them shows the actual end. This is one of the Seven Prophesied Works that Daniyl saw with two others in the Last Generation. This Work is the Seventh and Last Prophesied Work of Yahweh that brings to a finish, in this generation, the Warning from Yahweh to rebellious mankind. The Prophecies about the Two Witnesses can be found in many of our publications, so I won’t take the time to explain them here. Call, write or email and request the 2/2010 issue of The Prophetic Word magazine. However, I do want to point out a very important fact, which is that their work is done in this Last Prophesied Generation, and when their warning is finished that’s the end of this present generation. Read the previous verse from the King James Version and the references that show how it should be translated. The word preached is from the Hebrew word qara. The Hebrew-Aramaic-English Dictionary by Marcus Jastrow, pages 1409-1410, Vol 2, shows this word means teacher, preacher, and Abel. The word for is from the Hebrew preposition and adverb ba. The Analytical Hebrew and Chaldee Lexicon by Benjamin Davidson, page 56, shows this word means by. The word witness is from the Hebrew root word od and its forms odah and owad. These words are found in the Hebrew-Aramaic-English Dictionary by Marcus Jastrow, pages 1042-1043, 1048, Vol 2 and The Hebrew and Aramaic Lexicon of the Old Testament by Koehler and Baumgartner, pages 787-791, 795-796, Vol 2. These words mean witness, testimony, the light in (The House of Yahweh) is (proof) to mankind that (Yahweh) is (with) Yisrayl, Yisrayl (is) to be a Witness, to be called to witness, to be required to witness. Mattithyah 28:20 confirms this, where Yahweh says through His High Priest Yahshua Messiah, “And lo, I am with you always, to the End of the Age”. I will leave you with one more Prophecy concerning Yahweh’s Last Generation Prophesied Work. Did you notice the last part of verse 3…they will learn war no more? Peace by force does not bring peace. War only produces more war, vengeance, retaliation, death and destruction. With the increase in knowledge, mankind can actually wipe out all life and make the earth uninhabitable, as can be seen on so many planets in the universe today. What Would Be More Powerful Than Nuclear Bombs? The Prophecies you just read and can see, they came to pass under impossible odds, were inspired by Yahweh to be written for us in this generation. The nations bring war today in hope of bringing peace. But what did Yahweh say to Cain and us in the beginning? This is truly the power in war. Continual war is prophesied in this way that man’s governments have planned. Notice the Scriptures are absolutely right…continual war. Surely, we can see by now what 6,000 years of war has brought us. Is it not what we see in Mattithyah 24:7, prophesied for this present generation? Now we are in the Last Generation, the time of the Two Witnesses shown in Revelation 11:1-4. What do we still see? Is it not what Yahweh said our own way would bring? Why in all the years of war and fighting do you still have hope in war and fighting? Yahweh’s Prophets wrote exactly what we see today. It’s here! We see everything mentioned in Mattithyah Chapter 24, present and accounted. The best is what Yahweh offered in the beginning. Yahweh’s Way, His Laws are more Powerful than the nuclear bomb. If taught, they can turn the hearts and minds. In Malakyah 4:1, we see burning; that is, nuclear burning. In verse 4, Yahweh is asking you to remember His Laws of Righteousness that all religions are now rejecting. It seems as if they don’t even know these Laws exist. Verse 5 shows there is Strength in these Laws, when they are taught and practiced, that actually changes the hearts and minds, and turns them to Peace. We see in verse 6, they turn the hearts of the fathers, sons, and nations; so, they learn war no more. Remember the Laws and teach them. If you practice Righteousness, you will be acceptable to Yahweh and to all nations. Why not take the Creator at His Word and let the United States say to all nations, we will live by the Laws of the Creator, Yahweh, now and forever, “Could we all do the same?” The Laws of Yahweh are Perfect. Everything that Yahweh inspired the Prophets to write has proven True. Why not give this Promise of Yahweh the opportunity to prove itself, as have all of the Prophecies we just covered? For the cost of one nuclear bomb, we could send every leader on earth their first book of the Peaceful Solution Character Education Program. Let them know that we, too, promise to live by the Promise of the Creator, Yahweh, and we will see the acceptability it will produce. Genesis 4:7 states that if you do Yahweh’s Righteousness, you will be accepted by all nations. It will work! There is no way it could possibly fail. It will bring to every person everything they could ever hope for in life. You have nothing to lose just trying this program. However, you and all nations have everything to lose if you don’t.